Thirty-four of the last 44 (debt ceiling increases) have been for less than a year. So, this notion that short-term is somehow the exception, it’s actually the rule. This quote is related to a recent blog post I wrote: Are short-term debt limit increases unusual? 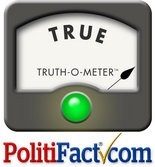 Stephen Koff of the Cleveland Plain Dealer contacted me for the fact check article. He found and I subsequently corrected a timeframe error in my original post that did not affect the broader point or Senator Portman’s quote. I walked him through the backup data, which comes from OMB’s historical tables. Mr. Koff was thorough, precise, and professional. 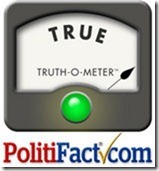 You can read the PolitiFact Ohio analysis at The Plain Dealer’s site.